Bokeh is a Japanese term used in photography to describe the out-of-focus areas of an image and is often created deliberately for artistic effect. There are several factors that influence the look and impact of bokeh in an image, and this article will explore those factors and give you advice about how to best achieve the 'bokeh look' with the equipment you already have. The second article in this series will introduce the idea of 'shaped bokeh' and explain how to manipulate the shape and design of background bokeh. In order to create bokeh, you need to have a section of your image that is outside the depth of field (the area of the photograph in focus), and this area is generally in the background, rather than the foreground, of your composition. The narrower your depth of field, the easier it is to create bokeh in the background. There are several ways to create a narrow depth of field. The easiest way is to shoot at a fairly wide aperture, such as f/1.8. The wider the aperture value, the narrower the depth of field, and the thinner the section of the photograph that is in focus, the more of the background that becomes out-of-focus. Opening your lens up to its maximum aperture will also create a 'smoother' look to the background and bokeh. Bokeh created by setting sunlight bouncing off the water. One reason for the popularity of the 'nifty 50' or 50mm lenses is their ability to obtain an aperture of f/1.8 for a relatively low price for a camera lens. (50mm starter lenses are available from Canon for $110 and from Nikon for $110. Read more in Yes, You Need a 50mm Lens.) At f/1.8 with these lenses, the background bokeh becomes bright circles of light. As you close down your lens and narrow the aperture, however, the shape of the background bokeh changes, based on the number of blades inside the lens. The Canon 50mm f/1.8 lens has five blades, which means that the bokeh becomes pentagonal at narrow apertures. Foreground and background snow bokeh. The pentagonal shape resulted from the 50mm lens at f/6.3. If you do not have a 50mm lens and instead have only the lens or lenses that came with your camera, then it is likely the widest aperture you can obtain will be between f/3.5 and f/5.6, depending on your focal length. You can still achieve a bokeh effect at these apertures, but you may need to use additional strategies to do so. 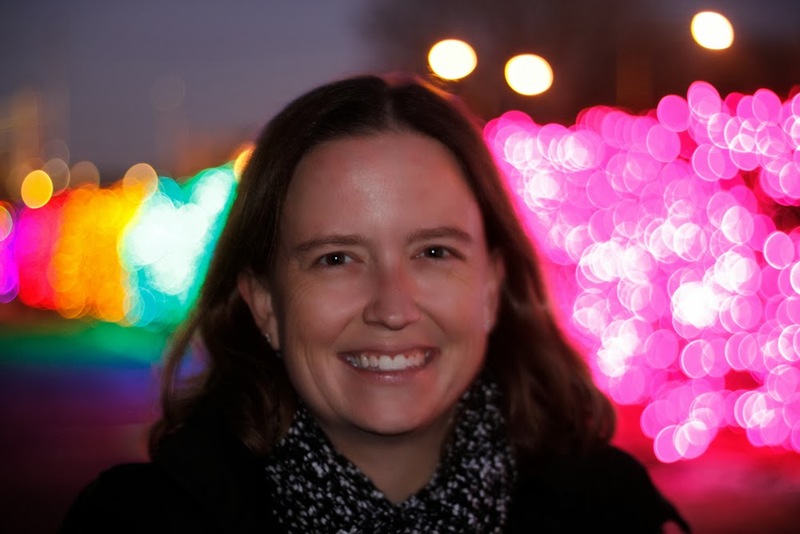 You can improve the blur of your background bokeh in other ways. Increasing the distance between your subject and the background will improve the bokeh. The closer the background is to your subject, the more likely it is to fall within the depth of field or just outside. As you move your subject farther away from the background, however, the increased distance will make it more likely that the background will fall outside of the area in focus. Violets from above at f/5.6. Minimal blur and bokeh due to closeness of background. Violet from the side at f/5.6. Greatly increased blur and bokeh due to distance to background. You can also improve the background bokeh by getting closer to your subject. Even if you keep the aperture the same, the relative width of the depth of field will narrow as you approach your subject. Moving the focus closer as your subject moves closer also makes the background relatively farther away. You can do this by moving physically closer in to your subject or by using a zoom lens and zooming in for a closer in view of your subject. The series of images below demonstrates the difference that the placement of focus can make on the shape and size of the bokeh. As the area in focus moves farther and farther away from the camera, the bright bokeh light circles become smaller and smaller. 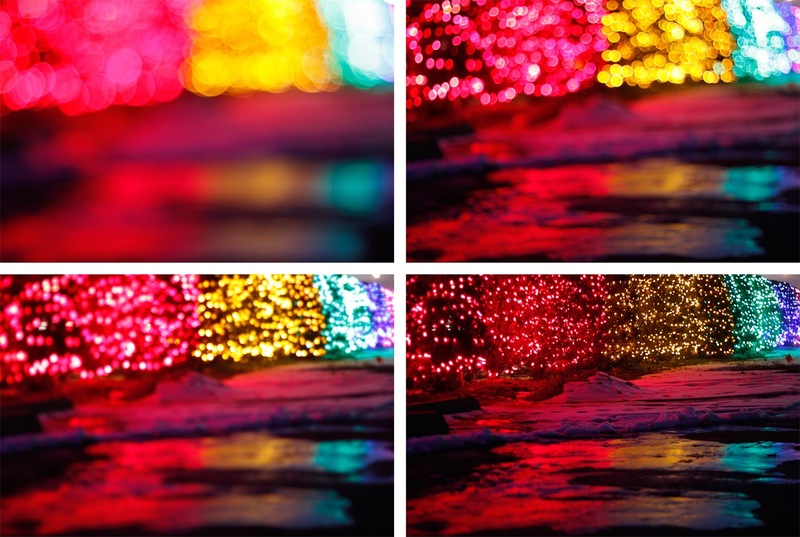 By the bottom right image, the tiny holiday lights are now fully in focus and no longer creating bokeh. For this bokeh-filled portrait, below, the subject was positioned fairly close to the camera (about five feet) with the background significantly farther away (about fifteen to twenty feet). The pop-up flash on the camera was used to illuminate the subject, while a longer shutter speed (0.6 seconds) provided the brightness in the bokeh lights. You can combine these two tips (closer subject and farther background) to achieve bokeh even with a point-and-shoot camera. If you use the macro setting (the tulip symbol), get in close to your subject, and keep the background farther back, you will be able to achieve some measure of pleasing background blur and bokeh. Holiday light, street lights, and even car headlights are popular choices for bright, bokeh-filled backgrounds at night. Try using a combination of all three strategies above to capture the look you want. Start with your widest aperture and then see how changing the distance between the camera and the subject and changing the distance between the subject and the background changes the final look of your photograph. to increase background distance and create better bokeh. You can also create bokeh during the day. Light filtering through trees and leaves can make attractive bokeh. You will get better results earlier in the morning or later in the afternoon, when the sun is lower in the sky. These long, bright rays and varied shadows can create an interesting framework to use for creating bokeh. The bright oranges of the foreground leaves contrast with the blues and greens of the background. 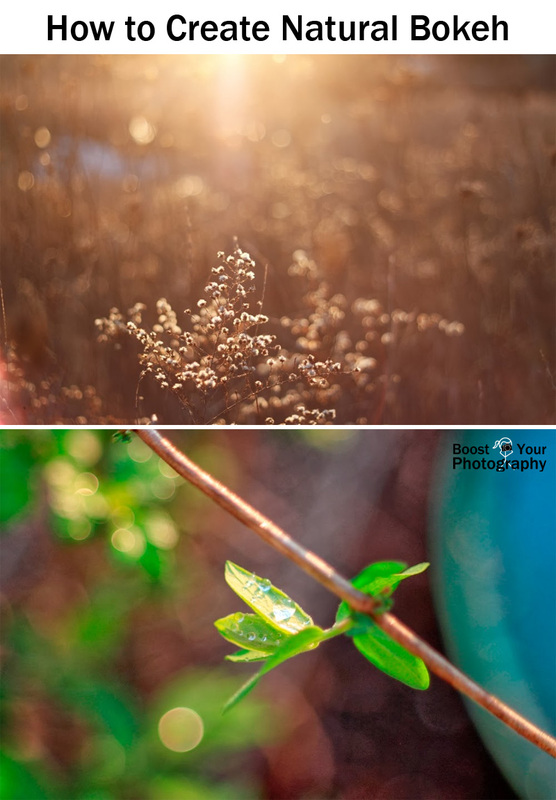 Bokeh is a great photography effect and one that can add a unique and memorable twist to your images. While bokeh often begins with aperture, you should also pay attention to your distances: zoom in to create more blur, get closer to your subject to narrow the depth of field, or move your subject farther away from the background to be sure that it falls out of focus. Find some bright lights or bright sun and see what you can create!